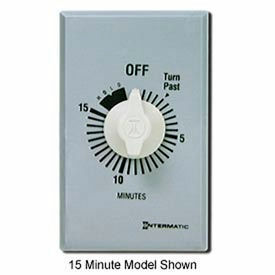 Decorator Series Auto-Off Timers Limit The "On" Times Of Fans, Lights, Heaters And More. 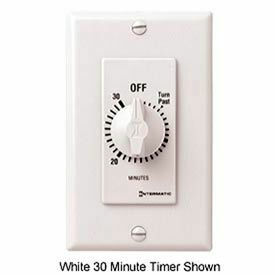 Decorator Series Auto-Off Timers are made to replace any standard wall switch. Switch contacts are made when knob is rotated and break circuit at the end of a timed cycle, thereby turning off the load. Timers operate with a mechanical spring and require no electricity for operation. Timers are available with a variety of time limits ranging from 5 minutes up to 12 hours. Choose from White, Ivory or Almond time dial plate.